For One User on One Mac. 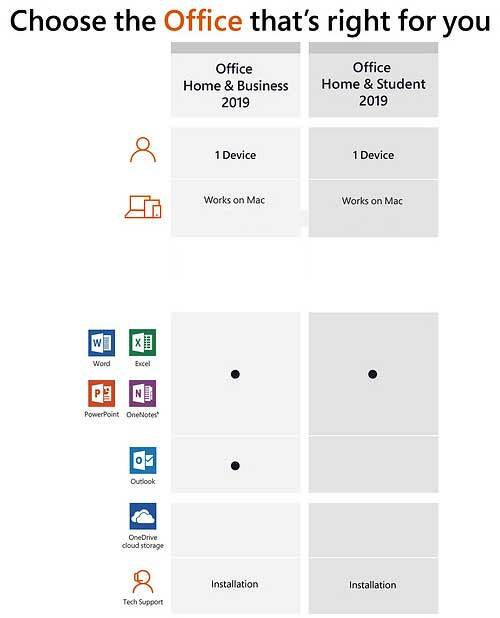 Office for MAC 2019 comes in two editions - Home & Business 2019 and also Home & Student 2019. 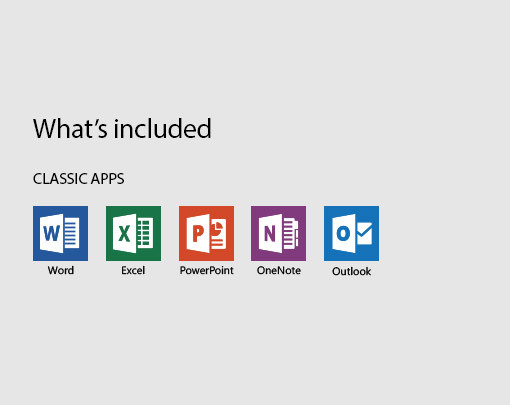 Home & Student 2019 includes Microsoft Word 2019, PowerPoint 2019, OneNote 2019 and Excel 2019. Home & Business 2019 includes Microsoft Word 2019, PowerPoint 2019, Excel 2019, OneNote 2019, and also Microsoft Outlook 2019. 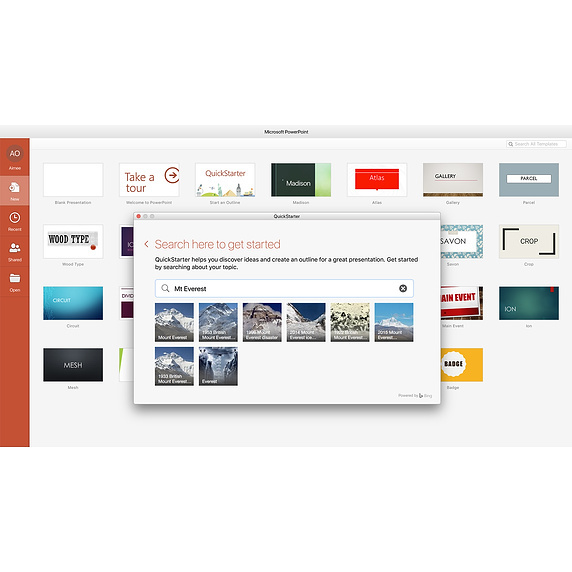 Office 2019 for Mac is designed freshly from the ground up to take full advantage of the latest Mac features, including Retina display, full screen view support, and scroll bounce. There are many new features and updates since the 2016 edition. 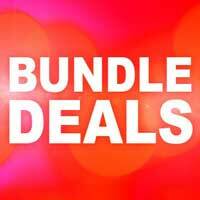 It’s the perfect combination for the Familiar Office you know, trust and love, and the Mac you cherish. 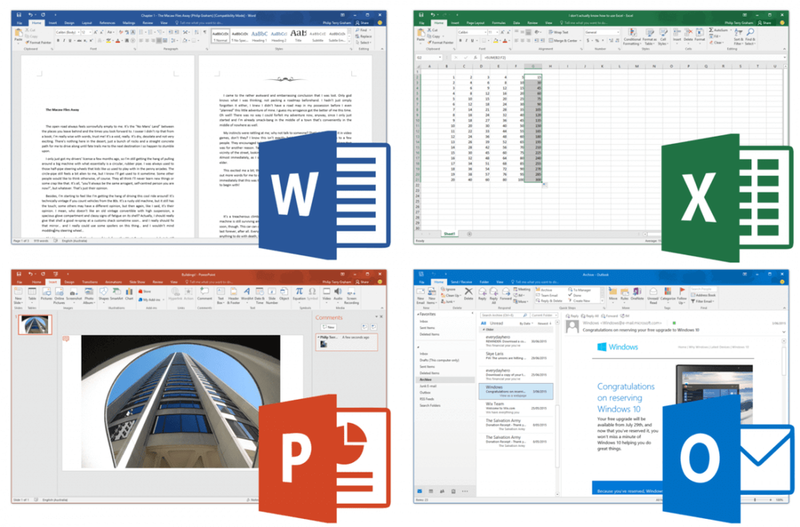 MS 2019 Editions of Word, Excel, PowerPoint, OneNote, and Outlook for 1 Mac. View, share, or edit documents online with cloud activities. NOTE: Home & Student does not include OUTLOOK 2019. Only The Home & Business Edition includes Outlook. 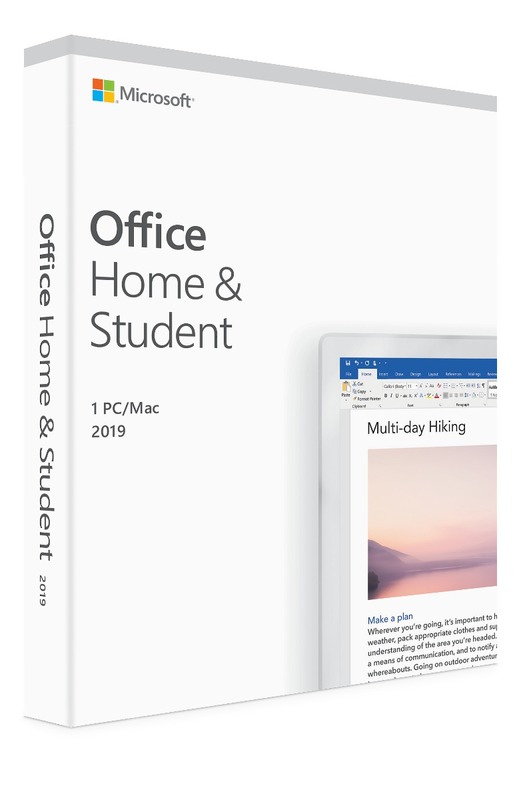 Office Home & Business 2019 for Mac is designed , with its ease and familiarity, for users and small businesses alike that want Office with the power of Outlook for email, calendars and contacts. It’s the Office you know, love and trust, updated to take advantage of the last Mac features, including Retina display and full screen view and others. Office 2019 delivers familiar features across apps to help users create amazing content efficiently! In PowerPoint 2019, you can create cinematic presentations with endless features like Morph and Zoom. And improved inking features across the apps familiar to Windows—like the roaming pencil case, pressure sensitivity, and tilt effects—allow you to naturally create documents on a MAC with the familarity of Windows. 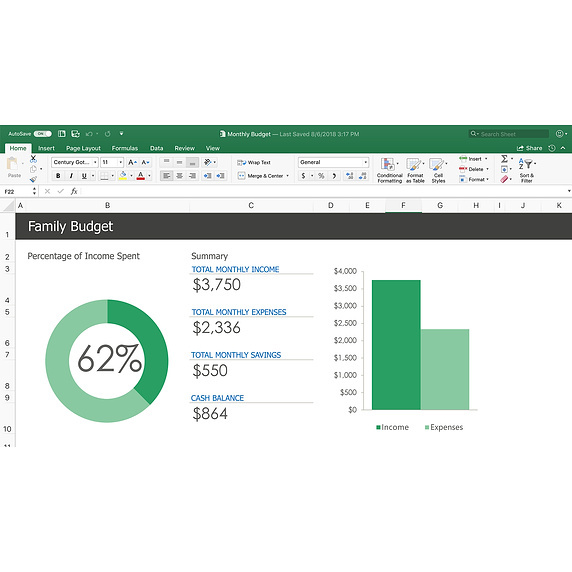 Excel 2019 adds powerful data analysis features; including but not limited to, new formulas and charts and PowerPivot enhancements amongst some. Word 2019 and Outlook 2019 help you focus on what matters most to you. Learning Tools, like Read Aloud and Text Spacing, make life easier by engaging with your content in real-time. Focus Mode blocks out distractions and puts your content front to center. Focused Inbox moves less important emails out of the way—so you can get straight to taking care of business and prioritise your timekeeping. 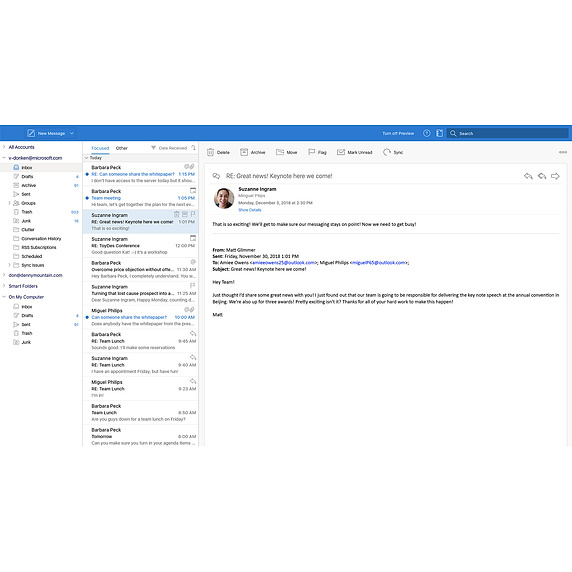 Outlook 2019 for MAC allows you to Easily manage your email, calendar, contacts and tasks with an all new fresh gui. Push email support keeps your inbox up to date, allowing conversation view and groups binding messages and calendars for a more efficient and productive yet personal email client experience. 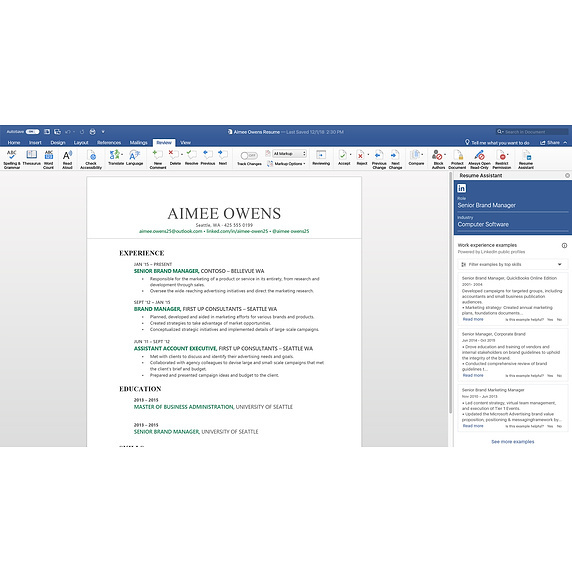 Word 2019 for MAC allows you to Create and share professional-looking documents with state-of-the-art editing, reviewing, sharing and design tools. The new Design tab provides swift access to a multitude of features, and with Smart Lookup - efficiently showing all relevant contextual information from the web directly inside Word. Excel 2019 for MAC allows you to Analyse and visualise your data in new and intuitive ways with a slick user interface. Other featues, including, Leverage features Analysis Toolpak, Slicers, and Formula Builder to save time, so you can focus on insights more efficiently. PowerPoint 2019 for MAC helps Create, collaborate and effectively present your ideas with new slide transitions including an ll new improved Animations task panel. Threaded comments alongside your slides help to incorporate feedback into your presentations with ease. Features inlcuding Presenter View displays the current slide, next slide, speaker notes and a timer on your Mac, while projecting only the presentation to your audience on the big screen to help display things - Your way! OneNote 2019 effectively becomes your very own digital notebook, to help track notes, ideas, web pages, photos, audio and video all in one place. Whether its for your home, collaborating in the office or on the move, you can take it all with you wherever you go. Operating system Mac OS X version 10.12 or later. OS X 10.12 Sierra, 10.13 High Sierra, 10.14 Mojave are compatible. In general all Apple macbooks/macs purchased 2016 onwards are supported. Office 2016/2011 for MAC is also available for older models.